Maxima Computer Algebra System written in Common Lisp added to Dev/Utils directory. 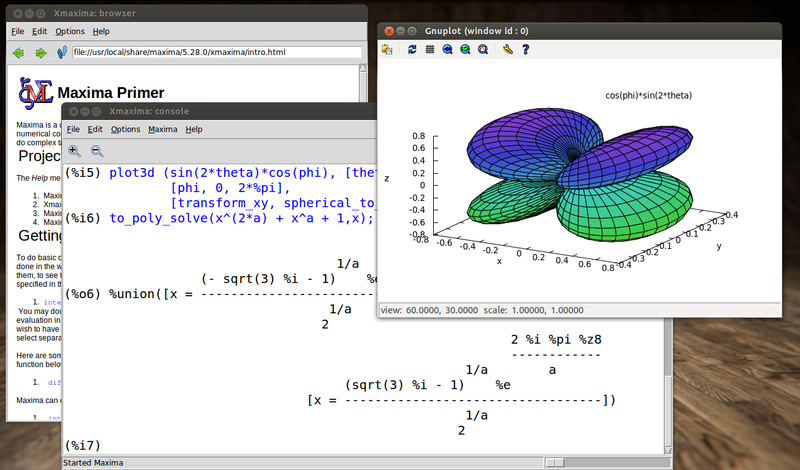 For example, Maxima solves x^2-r*x-s^2-r*s=0 giving the symbolic results [x=r+s, x=-s]. Maxima can calculate with exact integers and fractions, native floating-point and high-precision big floats. Maxima has user-friendly front-ends, an on-line manual, plotting commands, and numerical libraries. Users can write programs in its native programming language, and many have contributed useful packages in a variety of areas over the decades. Arbitrarily large floating-point numbers ("bfloats").